A little research about Daylight Saving Time first yielded the fact that Daylight Savings Time (with an S) is apparently incorrect. I’ve been using the wrong word all these years, so I’ll have to train myself to say it right, although it might be more aptly referred to as Deprived of Sleeping Time or Daylight Stressful Time. Last year I was responsible for getting my grandkids to school on Tuesday after Daylight Saving Time and it was almost impossible to wake ten-year-old R. We made it to school in the nick of time after a rush-around morning that had me more tightly wound than a piano string. I am generally not in favour of Daylight Saving Time. It was initially proposed to save energy in the evening hours during wartime, when rationing of energy was part of the war effort. There were times when energy probably was saved, but nowadays, the majority of North Americans are usually parked in front of the TV set in the evenings. Lighting accounts for only a tiny percentage of our energy usage, so little energy is saved. Growing up on a farm, I remember adults saying Daylight Saving Time was for golfers. That theory went out the window when I discovered that Arizona is one of the few North American jurisdictions (along with Saskatchewan, Hawaii and Puerto Rico) that doesn’t participate. I was surprised because, of course, there are proportionately more golf courses and golfers in Arizona than almost anywhere else. So much for that theory. When my kids were little, I cursed Daylight Saving Time. It’s almost impossible to get kids to go to bed when the sun is still high in the sky. “But Mom! It’s not dark out! We can’t sleep.” West facing windows in their bedrooms added to the problem. Living in the North is definitely a factor; I can understand that southern states could use that extra hour but the sun is up until well after 10PM without Daylight Saving Time in Alberta’s capital. Do we really need to be up until almost midnight? I suspect we do it because (almost) the rest of the continent does it. I’ve always felt Daylight Saving Time plays havoc with my sleep. It turns out my intuition was onto something. According to a study conducted by researchers from the Ludwig-Maximilians University in Munich, Germany, Daylight Saving Time throws off the body’s sleep rhythms for 20 percent of the year (that’s two and a half months! ); disruptions in sleep patterns have adverse effects on the immune system. I saw a study a few years ago by an insurance association that found motor vehicle accidents rose sharply the Monday after Daylight Saving Time Sunday in the spring, presumably because the average driver was deprived of 40 minutes of sleep. Conversely, accident rates fall slightly the Monday after the “fall back”. There is some evidence that there are fewer accidents in the evenings during the summer because of the additional daylight. In 2007, the US decided to alter the day of the change and Canada followed suit. 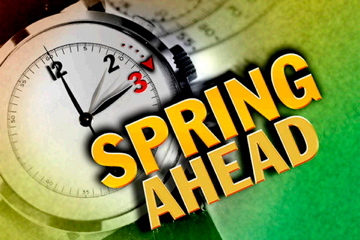 It used to be “Spring Forward” the first Sunday of April and “Fall Back” the last Sunday in October. 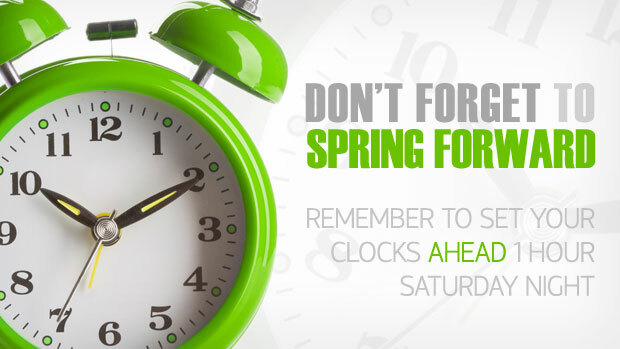 Now I’m not sure what the rule is, except for the Spring Forward and Fall Back concepts, which surprisingly, many people still don’t grasp, despite our practicing Daylight Saving Time for decades. Since 2005, Kyrgyzstan, a little country wedged between China, Kazakhstan, and Uzbekistan, has been on year-round Daylight Saving Time. I’ve often thought this would be a good idea, since it’s the Change that makes Daylight Saving Time objectionable to me. The problem, here in the north, is that in the winter the kids would be going to school in pitch darkness, although even without Daylight Saving Time they basically are anyway. It has occurred to me to petition the government to cease participating in Daylight Saving Time, but I doubt it’s worth dying on that hill. The mass confusion, especially for business with US relations, would likely kill that idea. (I have a friend in Saskatchewan and I never know what time it is there). If you choose to start such a movement you can count on me to sign your petition. The best strategy for me to get through the “Change” is to plan to go to bed early until my brain adjusts. If you’re feeling overwhelmed and wrung out over the next few weeks, blame Daylight Saving Time. Officially we lose our hour at 2AM Sunday, March 9, 2014. I generally change my clocks when I go to bed Saturday night so I’m not chronically late all day! This entry was posted in Blog and tagged clocks, Daylight Saving Time, Daylight Savings Time, fall back, spring forward by Shelley Goldbeck. Bookmark the permalink.